Figure 1: Portrait of Jane Fisher. On December 6, 1968, Jane Fisher died of a heart attack at the age of 74. 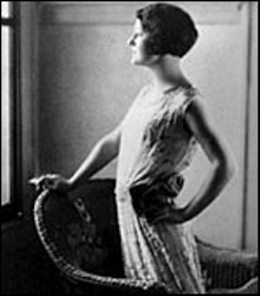 She was the first wife of Miami Beach founder Carl G. Fisher. At the time of her death, Jane lived in a small gabled house at 3747 Sheridan Avenue in Miami Beach. Jane married Carl Fisher when she was only fifteen years old. Carl was thirty five years of age. The couple first moved to Miami in 1912 in house along Miami’s Brickell Avenue. It was during Carl Fisher’s time in Miami that he got involved with developing Miami Beach into a tourist destination. The couple divorced in 1926. Jane left Miami Beach, but returned following the death of her iconic ex-husband in 1939. Later, Jane wrote Carl’s story in a book called “Fabulous Hoosier”. Later in life, Jane wrote articles entitled “I Remember When” for the Miami Herald Sunday Newspaper. 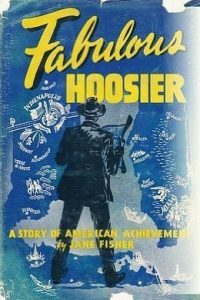 Figure 2: Book Cover for Fabulous Hoosier. Cover: Jane Fisher and J.N. Lummus with Miami Beach city flag. Courtesy of Florida Memory.